Chinese President Xi Jinping and US Secretary of State Rex Tillerson were all smiles as the American official wrapped up his first visit to Asia, despite lingering tensions over North Korea, Taiwan, and Donald Trump’s past statements on China. “You have made a lot of active efforts to achieve a smooth transition in our relationship under the new era. And I also appreciate your comment that the China-US relationship can only be defined by cooperation and friendship,” the Chinese leader said, prior to a 30-minute meeting with Tillerson on Sunday morning in Beijing. “We know that through further dialogue we will achieve a greater understanding, that will lead to a strengthening of the ties between China and the United States and set the tone for our future relationship of cooperation,” said Tillerson, as the men, wearing similar color ties, addressed the media. “And he looks forward to enhancing that understanding in the opportunity for a visit in the future,” Tillerson said. Trump tentatively expects to host Xi at his Mar-a-Lago residence in Florida next month, and still anticipates the meeting to take place “soon,” State Department spokesman Mark Toner confirmed later on Sunday. The 24-hour tour by Tillerson, who had also visited Japan and South Korea earlier in the week, took place against a backdrop of continuing volatility surrounding North Korea, which announced that it had performed a test of a high-thrust rocket engine that could become a component of an inter-continental ballistic missile capable of reaching US shores. “North Korea is behaving very badly. They have been 'playing' the United States for years. China has done little to help!” tweeted Trump in response. Tillerson himself said the US was open to the possibility of a pre-emptive military strike on North Korea, before touching down in China. But at least out in the open, Washington and Beijing decided to hold their fire. “We should properly handle and manage sensitive issues to promote the healthy and stable development of the Sino-US relationship,” said Xi. 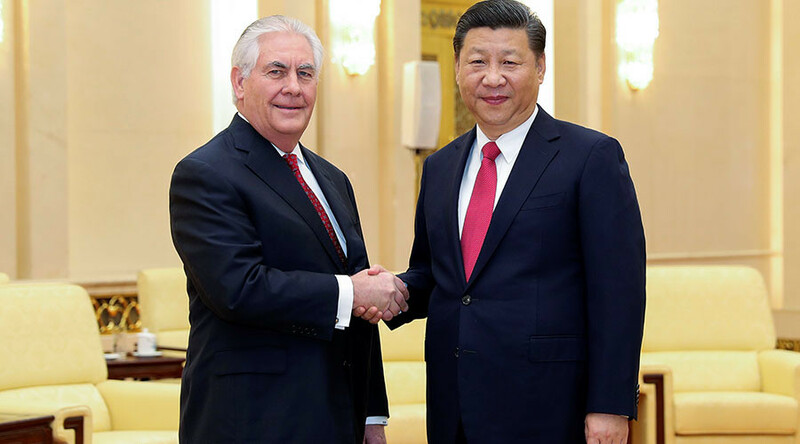 Tillerson also spoke of “mutual respect” between the two nations, a phrase considered to be the cornerstone of proposed relations between Beijing and Washington in which the two powers would respect each other’s interests. While some analysts said the repetition of China’s own vocabulary represented acquiescence to its aims, it is possible that Tillerson was merely softening the ground ahead of what are likely to be more decisive talks between the two countries’ leaders. It is also possible that the US emissary may have been more forthright away from the cameras, as he had been throughout the rest of his Asian tour, in which he reassured America’s allies in their alarm over growing Chinese influence. The US and China still do not see eye-to-eye on multiple issues, including the One China policy — that denies international recognition to Taiwan as an independent state, political freedom in Hong Kong, and the rights of the country’s Tibetan minority. 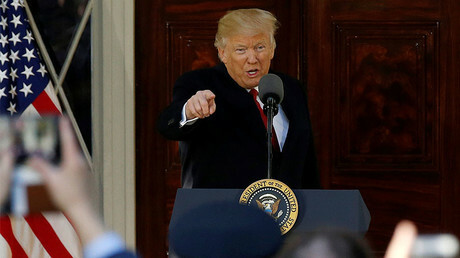 Trump has also repeatedly accused China of unfair trade practices, and had made the reshoring of US manufacturing from the world’s most populous state a key campaign pledge.